Today was an important day for Republicans, both around the nation and here in Delaware. For the national Republican party, today marked the 100th day in office for President Trump. That is all I am going to say about that. 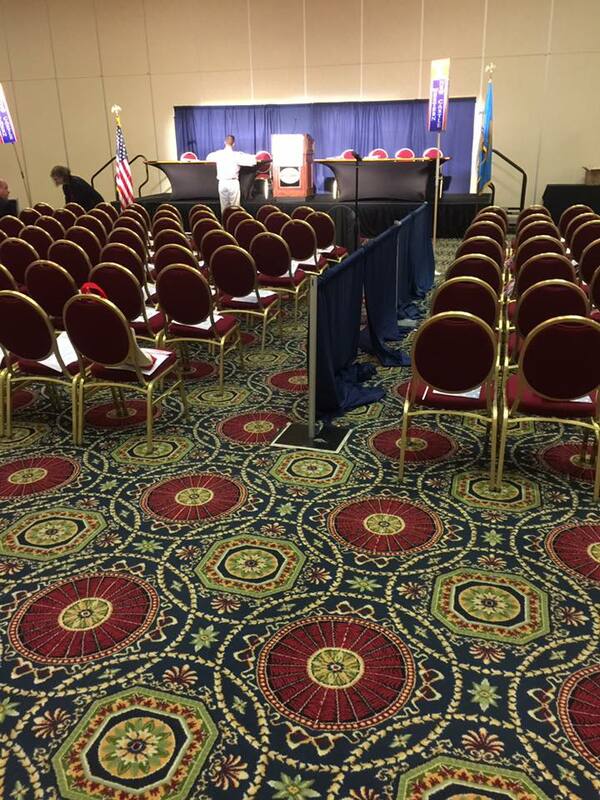 Here in Delaware it was the day of the annual GOP, state-wide convention. This is the day the party comes together to elect its officers, and to pass resolutions for the future of the party. In the past, these conventions have been contentious to say the least. They have served as a platform upon which to demonstrate the deep-rooted divides within the party. There have been years in which angry shouts were hurled across the room from one region’s section, into that of another’s. This may explain why the organizers felt the need to erect barriers between the regional sections. Personally I see these barriers as more of a metaphor for the divisions which remain within the party, even on a day when the party is attempting to show unity. That divide is currently fueled by those who support President Trump blindly, and those who have the common sense to be concerned about a backlash in the midterms. 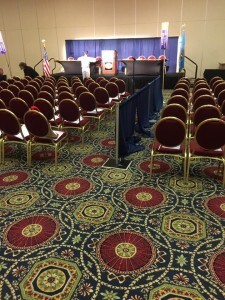 It would seem as though most of the delegates chosen to participate in this year’s convention, surely expected this to be an uneventful exercise. You see, though all of the current office holders, except for Secretary, were stepping down, there were no contested seats. So one might expect it would have been a simple matter of unanimous consent and gavel the meeting to a close. But let us not forget, this is the Delaware GOP we are talking about here. It had gone pretty much as planned, the secretary Carroll Bodine was re-elected by unanimous consent. The new Treasurer, Dennis Cini, was elected by unanimous consent, which brings us to the Vice-Chair position. I am sure when Kevin Wade woke up this morning, and stepped in front of the mirror to shave, there is a good chance he smiled and said, “good morning Mr. Vice-Chair”. After all, he was the only person who had shown any interest in the position, well almost. It was talked about Sussex County Councilman, and President Trump’s Delaware guy, Rob Arlett may have thought about it, but in a quote from the Wilmington News Journal, he gave the reason why he had chosen not to take on the task, “to keep himself available in case a presidential appointment comes his way.” You have to wonder how the citizens of his Council District will feel about that if he runs again, knowing he could easily decide to just pick up and leave if something better came along. It was at this point Chairman Copeland asked if there were any other nominations for Vice-Chair. This is procedure, and by this time he was aware there was to be a nomination from the floor. Again, nothing unusual about this, and is strictly within the rules. It seems that shortly before the convention got underway officially, a young lady had mentioned to a person she was speaking with, that she had been thinking for sometime about seeking the Vice-Chair position, but had not thought she would have enough support, especially against Kevin Wade, who does have a certain base support within the party. The young lady’s name is Emily Taylor, and she is no new comer to Republican politics. Ms. Taylor has worked on many campaigns over the years for the likes of Tom Kovak, Jeff Cragg, and state Senator Colin Bonini,(more about the Senator later) and many other Representative and Senate campaigns, including her own father, Rep. Steve Taylor. The person she spoke with about her thoughts of running, was Delaware Right’s own, Steve Grossman. Steve being the experienced political operative that he is, and having worked a room or two in his years of being involved in politics, immediately suggested to Ms. Taylor, it was not too late. He suggested they pull together people who would support her to make the necessary procedural moves to get her name on the ballot. This meant she would need a person to nominate her from the floor, a person to second her, and a third person to second the nomination. This is where Senator Bonini agreed to give her nomination speech, after all she had played a vital role in his re-election as state Senator. 12th Dist. Representative, Deborah Hudson gave the seconding speech, and Mark Blake from New Castle County followed up. All three of these people spoke of Ms. Taylor’s years of hard work for the GOP at the volunteer level. Her Experience as an organizer, and her devotion to the party. But most importantly, the fact that she was not a person looking to use the Vice-Chair position to run for office, or as Rep. Hudson said, “she won’t pull a ladder up behind her”. They also spoke of the fact she represents the future of the party. At a time when the GOP in general, is often seen as the party of old white guys, it is a giant step forward to have a young female in such a high leadership role. And while the vote tally of 149-102 for Ms. Taylor does not represent any form of blow out, considering her campaign consisted of two hours of working the room, one would have to say Steve Grossman did a great job of selecting others to support Ms. Taylor, and also work the room. A lot of people are critical of myself and Steve, and what we attempt to do here at Delaware Right, but Steve’s work today shows his dedication to “Moving Delaware Forward”. Following this was a hard row to hoe. Mike Harrington was unopposed, and elected unanimously to be the next Chair of the Delaware State GOP. He gave a long, sometimes rambling acceptance speech, which as is his habit, focused mostly on his past accomplishments, and was light on what he hopes to accomplish in the future. Time will tell. So what had been expected to be a short, boring and uneventful convention, turned out to be a beacon of hope for the future. Though we may have elected another “old white guy” as Chairman, we also put into place a person who has the potential to bring new ideas, and youth to the party. Let us all wish Emily Taylor, and all of the new office holders, real success in the coming years. On an unrelated topic, I had a chance to chat with Sussex County Register of Wills, Cindy Green. During the conversation, the topic of her running again came up. I asked her directly if she intended to run for the Register of Wills office again, her answer was an unequivocal “YES!” Well I know I’m looking forward to that. 43 Comments on "The Future"
Always the bridesmaid, never the bride. Seems to be the way of Kevin Wade. It is not for his lack of trying, but his age and un inspiring messages seem to haunt his attempts to be elected. Maybe dogcatcher? THE AMBUSH OF 2017 ! Did this actually just happen to Kevin Wade’s political career ? 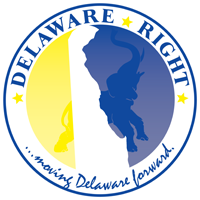 Is a Delaware Republican Party even necessary ? Yes Delacrat it is necessary. I would think even you would have to admit the one party rule here has led us to where we currently find ourselves. $400 million in the hole. So yes a strong opposition party is vital. Unfortunately the Delaware GOP has failed to perform even this function. Have to agree with Frank on that one. The Democrats have made a mess out of Delaware’s economy. …And we can all see how Wilmington has fared under “one party rule” . Knotts supported O’Donnell and accuses the establishment of staying home when she needed them. But when it comes to Trump, Knotts said the party leaders are “deniers and apologists” sacrificing ideology for a political win. “It’s a tribal thing. All they’re interested in is the brand. They don’t care what the package is, as long as it’s got the brand name, and that’s what you’re seeing with the defense of everything President Trump is doing,” Knotts said. The more local the politics, Knotts said, the more honest candidates will be, something that gives the Trump-aligned in Delaware an edge in the Republican stronghold of Sussex and in parts of Kent. That strategy won’t work as well when it comes to statewide races, Knotts predicted, and may even backfire. Delaware has long ago gone the way of Rhode Island. Murder Town and the suburbs dominate state politics. Urban areas always support the welfare state, deficit spending, endless “programs,” and “compassion” for criminal defendants. Eventually, as casinos become more irrelevant, the Socialist-Democrats will have to enact a sales tax to cover their growing budget. This may precipitate a move toward the GOP. If not, nothing much will change until the bond rating falls and Delaware hits rock bottom. Fortunately, since the state has less than a million citizens, the deficits will never be astronomical, unlike Conn, NY, CA and so on, where taxes (gas, property, state) border on the ludicrous. Has Arlett actually DONE anything about the half million discarded tires in Sussex beyond a quick helicopter fly-over and press conference back in March? Awaiting a presidential appointment indeed. Have you ever lived in Rhode Island? If not, STFU about 5h!+ you know nothing about. Honi, let me clarify, not sure it came through in the article. The point I was making, was that because COD took out the favorite son of the so called establishment Republicans they stayed home saying she was a flawed candidate, yet they supported Trump, who was every bit as flawed a candidate, if not more so. The hypocrisy is amazing. Never mind. I’m answering my own question about what presidential appointee hopeful Arlett has done about the half million tires that litter Sussex. And the answer according to the Cape Gazette is…..nothing. Except to ask DNREC officials to come before Council and brief them on what they have done. Business as usual. Imagine what Arlett could accomplish at the national level. Yes Honi, much like his mentor, it would seem the appearance of doing something outweighs the need for actual actions. Can’t wait until we see Mr. Arlett signing and then holding up a council decree to further look into the problem. My family has been in Rhode Island since 1640. I’ve spent a lot of time up there. So STFU, fool. Of course, I’ve never been to the moon. It is cold. It is covered with a fine dust. It has less gravitational pull, and one side is always dark. There is no atmosphere, no oxygen to breath. Of course, to a fool, none of that can be true. After all, I’ve never been there. And North Korea is probably a paradise. I’ve never been there. The Socialist-Democrats from a crumbling economic shamble called Murder Town and it’s periphery run Delaware (I’ve been there once- it’s a dump). So naturally, the state follows a downhill trajectory. Endless “programs.” Deficits. Roads that are woefully behind the times but a healthy needle exchange program. Crappy, dangerous schools. Delacrat, your party- the Socialist-Democrats- are doing a great job, especially in SOSNCC. Unfortunately for us in Sussex, crap floats downhill. You’ve been to a place once and so you think you can say with authority “it’s a dump”. Rick was in Newark a few months ago to have lunch with his son. If memory serves that was the only time he was there too! He doesn’t get out much. Yes. I had lunch at the DuPont. Filthy park with bums and criminals hanging around right across the street. Trash everywhere. Dilapidated buildings, empty storefronts and so on. And I thought it was a big city- it isn’t. If memory serves that was the only time he was there (Newark) too! Correct. And I’ve still never been to Seaford or Laurel. He doesn’t get out much. Really? Because I’ve only been to Murder Town and Newark once? LOL- once is enough. There’s nothing there. Occasionally, I can be sighted at Jimmy’s Grill on Friday mornings during the Gaffney broadcast. Otherwise, I stay in the basement- armed with a crucifix and a ham sandwich- in case of a Muslim invasion. The “filthy park” is Rodney Square. It’s the main DART bus transit hub for NCC. I took the bus into Wilm. for years and never had any run-ins with any “bums and criminals”, although there were plenty of suit and tie characters going in and out of government bailed out banks, doin’ gawd knows what. The “filthy park” is Rodney Square. Caesar Rodney or Rodney King? I didn’t have any “run-ins,” either. But they were there. And so was the filth. I guess the cops are too busy investigating murders to care about common riff-raff. Maybe the riffraff from Sussex County who are dumping litter everywhere down here are also shipping trash upstate? We have to remember, Rick is a person who judges a book by its cover, like the Quran, he never gets past the cover. Rick sees a certain “type” of person and assumes they are criminal. Notice once again his borderline racism, “Caesar Rodney or Rodney King?” Clearly letting us know the people he saw were black and thus criminal. … like the Quran, he never gets past the cover. I’ve never seen the cover of the filthy Koran. But I understand the dogma contained therein. Such as jihad and Sharia and religious despotism. Why don’t you visit Yemen or Saudi Arabia, and recommend to the “good Muslims” there that they should quit stoning women for failing to cover their faces and beheading men for being Christian? Any time you want to take a pop quiz on history, politics, literature, poetry, geography, etc., let me know. I’ll bet $500 you lose, and it won’t be close. Rick sees a certain “type” of person and assumes they are criminal. More reading comprehension problems, Frank? Unlike you, I’m from the big city. So yes, I know a bum when I see one (the stained filthy pants, torn dirty t-shirt, bloodshot eyes and pint bottle in the back pocket are the first clues). Rick says that unlike Frank he is from “the big city”, by which he surely means Washington DC. But Rick is not from DC. He lived in a VA suburb. A bit like claiming to be from the Big Apple when you’re actually from northern NJ, huh? Fake. Well, you know there could be “bums and criminals” in the VA suburbs. Well there certainly were criminals in the VA suburb that Rick lived in and when he lived there. Don’t know about bums. Now here’s the thing about criminals. All you have to do is commit one crime and–fairly or unfairly–you get labeled as a criminal for life. You’re never a former criminal, now are you? But you can be a former bum. Well Rick, if you had any intellectual curiosity you would read a book you so often condemn. And if you did, you would know and better understand that the Quran does not contain Sharia Law, Sharia Law was created by men using the text of the Quran for their own purposes, much in the same way other faiths have used the words of their holy books to drive their own agendas. Rick challenges me to a history quiz. Well Rick you may be able to regurgitate what you have read, but that does not make your interpretations anymore valid. A person can memorize the encyclopedia, but that does not make them an expert on anything there in. So I guess with Rick’s definition of a bum, someone foolish enough to pay $400 for Nordstrom’s new muddy jeans would be a bum. I also notice Rick did not deny the people he is talking about were black. I’m sure this is another sure sign of criminality and being a bum according to Rick. But Rick is not from DC. He lived in a VA suburb. I was born in Columbia Hospital in the Foggy Bottom section of Washington, and grew-up in the area of 16th St. and Rittenhouse, N.W. (Brightwood). We later moved to Alexandria, which is twice the size of Murder Town. I also worked for the federal government for several years, in Washington. Rick challenges me to a history quiz. Well Rick you may be able to regurgitate what you have read, but that does not make your interpretations anymore valid. You said that “I never get past the cover” of a book. Really? I am more well read than you are. My “interpretations” are much more valid than yours if you don’t even know what I’m talking about. A test answer isn’t a “regurgitation.” It is an indicator of knowledge. Now I’m sure Frank- like most “liberals”- is opposed to tests. I suggest that the next time you fly in an airplane or have surgery, make sure that the pilot or surgeon hasn’t been subjected to any “cultural biased” testing. The Quran is the source of jihad. Period. Islam means submit. Period. First of all, how somebody spends their own money is none of my business. To some people, $400 dollars is chump change. …. torn dirty t-shirt, bloodshot eyes and pint bottle in the back pocket are the first clues.. The guy with the $400 jeans is unlikely to have the above. For that matter, he’s unlikely to be hanging around in Rodney Park, since he is at work earning the money to buy the jeans. I also notice Rick did not deny the people he is talking about were black. What people? The bums in the park? Well, if that is who you mean, most of them – not all, but most- were black. Not that it really matters. A bum is a bum. Since Frank is fixated on race, maybe he can tell us what percentage of those arrested for murder in Wilmington over the past three year were black? White? And how many of those convicted of murder in Wilmington over the past three years were black? White? And what percentage of people living in Wilmington are black? White? Weak effort, Frank. Try again. Maybe Rick (the self-described voracious reader) could explain what God was thinking when ordering the Israelites to exterminate the Amalekites–every man, woman and child. And for good measure to kill all of their cattle and sheep, camels and donkeys. Such violence in the Bible. Well Honi and Delacrat, if you are not convinced of Rick’s street creds after that last comment, I don’t know what will convince you. After all, he worked for the federal government, if that doesn’t give him insight into what is criminal, I don’t know what would. Rick says, ” I am more well read than you are.” Oh really rick, and what do you base that upon? Simply because I may not agree with you, or maybe because I have read from different sources which you deem insignificant? The fact that you refuse to read the Quran, yet continuously talk about it as knowing for a fact what is in it, demonstrates you seek out only sources which reinforce your already established views. Rick says, “A test answer isn’t a “regurgitation.” Actually Rick that is exactly what a test answer is. Unless it is an essay question which ask for explanation and interpretation of a subject. If it is merely asking for dates and names, it is merely regurgitation of learned information. Of course your demonstrated love of learning by rote would explain your belief that such regurgitation is an indicator of intellect. As I have said before, there is a difference between educated, and intelligent. And please don’t try to back away from your borderline racism, own it. Your comment here was, “Caesar Rodney, or Rodney King”, please don’t insult me or the others here. Your attempt at humor was perfect for a Klan meeting, but falls flat in a more attuned audience. But I am from Washington. I was born there. I lived there for years, and then I worked there for years. I know the city. Thus, Honi’s statement was erroneous. Rick says, ” I am more well read than you are.” Oh really rick, and what do you base that upon? Simply because I may not agree with you, or maybe because I have read from different sources which you deem insignificant? If you don’t think I’m more well read then you are, then take me up on my offer- have an independent individual create a general test on literature and poetry, geography, history, politics and so on and we’ll see who gets the higher score. We bet $500 on the outcome. Maybe Gaffney would do it. I would love to humiliate a pathetic know-it-all like you in front of a crowd. The offer remains open. According to Frank, knowing the juxtaposition of nation-states and their capitals is a “regurgitation.” A = pi r2 is a “regurgitation.” 1215 for the Magna Carta, a “regurgitation.” And so on. “Attuned audience?” Like you? You couldn’t be more out-of-tune. I know that thinking beyond your own predujuce is difficult, so I guess I’ll have to draw you a picture. Ever notice how most cities renamed streets “Martin Luther King Avenue” and renamed parks “Malcom X Park” and dismantled Confederate memorials and so on? Then what would be so far-fetched for a failing city, run by “liberal” Socialist-Democrats for decades, to follow suit by jettisoning Ceasar Rodney in favor of Rodney King? My comment was a subtle slam on politically-correct orthodoxy, but of course, you have to pull the “Rick is a racist” card, because at the end of the day, you can’t prevail through intellect. Pathetic. Lame effort, Frank. Try again. Rick, it is not your ability to regurgitate dates and capitals I question, it is your narrow view of the world, your use of the knowledge you have obtained. The same as you assume I am not well read because you do not agree with my views, I feel you waste any knowledge you have obtained only to attack others who do not agree with you. And often, as with Muslims and the Quran, you attack without the basic knowledge of having read the Quran. Again, while you may have a great deal of knowledge, it seems as though you seek out only that which supports your preconceived views, and you avoid any source which might challenge those views. You may have knowledge, and in great supply, but it is narrow in its scope, and use. And locations etc. Without that knowledge, how would one formulate a military strategy? What, exactly, is a “narrow view of the world? I would say that since you apparently place little value on knowing the juxtaposition of nation-states and their capitals, demographics, culture and history, mineral wealth and agricultural regions and so on, it is you who has a “narrow view” of the world. How would you know what use I’ve made of my knowledge? And often, as with Muslims and the Quran, you attack without the basic knowledge of having read the Quran. I don’t give a damn about the Koran. I have two eyes. I know that Muslims have been forcing societies to capitulate for 1000 years. I know that most Muslim states are failed states, led by lunatic Muslim clerics. I know that Muslims flew aircraft into the World Trade Center. I know that Muslims promote terrorist mayhem in the name of Allah all over the world. I know that Muslims stone women for adultery and kill man, women and children for being Christians. I know that Muslims chant “death to America.” And on and on and on…. You can shove your Koran you know where, dhimmi. Rick says, ” Without that knowledge, how would one formulate a military strategy?” I’m sorry Rick, are you playing Risk? Your views are narrow because you refuse to seek information from sources that might disprove your preconceived ideas, like you refusal to listen to what Governor Kasich had to say on the other thread. Again, you may be filled with certain knowledge, but your application is infantile. You stand stomping your foot with your fingers stuck in your ears. You hate people you have never met, based on things other people did. Should we hate all blacks because some blacks rioted? Should we hate all Japanese because some Japanese bombed Pearl Harbor? Should we hate all Christians because the Klan wrapped their hatred in Christian lore? No Rick, you obviously have knowledge, but you refuse to think. Frank, do you mind if I call you by your proper name- dhimmi? No, I’m talking about anyone who wants to be a military officer, CIA or State Dept. employee and so on. Without “regurgitive” knowledge, they’d never get the job. Kasich always says the same thing. Remember his failed primary campaign? I don’t need to be lectured by a sheepish moron. Maybe he should switch parties, like you did. “Stomping your (my) foot?” I’m not stomping my foot, I’m hammering you. But don’t worry, your friends delacrat and Honi will lend you support. You need it. Islam is not analogous to the above. Islam hasn’t changed in 1000 years. It is a religion of conquest. It is a dictatorship of fanatic clerics. Islam never underwent a reformation. They stone women for adultery and kill Christians for rejecting Allah. Most Mulim countries are backward religious despotisms. Kiss their butts if you care to, dhimmi- most sane people won’t. More, from the “religion of peace,” from an Islamist online “magazine”…. Jihadis are advised to avoid taking “large numbers of the kuffar hostage in order to negotiate one’s demands.’” (“Kuffar” is another word for infidels.) Shopping malls, movie theaters, nightclubs, restaurants, college campuses, and similar venues are recommended as good locations for a hostage drama. The ideal scene for an attack is described as a location with few exits and minimal police or private security. The magazine proposes keeping some hostages alive as a means of gaining “wide publicity” to “more effectively plant terror into the hearts of the disbelievers” with a “more lengthy and drawn-out hostage scenario.” The jihadi is encouraged to contact the authorities and identify himself as a “soldier of the Islamic State” in such a scenario. Ideally, the authorities will respond by storming the scene of the hostage crisis and martyring the ISIS soldier after he has “inflicted upon the kuffar a just massacre.”…. Our resident dhimmi presumably supports the cause. After all, he is incessantly defending their religion of aggression, violence and depravity. To our dhimmi, nothing much distinguishes Christianity from Islam. I guess dhimmi was busy reading the Koran when Muslim fanatics flew commercial aircraft into the World Trade Center, blew-up the Boston Marathon, attacked Paris and so on and so on and so on. Rick, you may call me what you will, for you do not define me. I have not switched parties, I am a registered Republican and as such I get to determine what that means to me. Neither you nor I for that matter get to define what it means for others. Your narrow mentality and definition only shrinks the party. As for you bigoted statements about Muslims, well nothing new there. I do not defend the extremists of any religion, but I will defend people who practice their religion in peace. I will not hate people for what other people have done. And Rick the more you explain your views the more you demonstrate how much you resemble the extremist you say you hate. 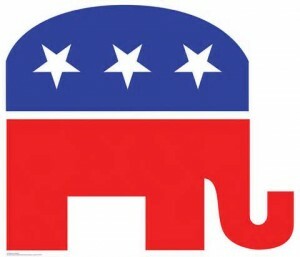 How is the republican party going to get new members other than people who are eaten up with religious nuttery, racial and religious resentments or financial exploiters? As the Socialist-Democrats become more radical, the GOP will grow. Remember how Obama was ushering-in a new “liberal” era? Remember how the Socialist-Democrats, under the leadership of the New Messiah, would finally exert political hegemony? Let’s see….during the Obama years, the GOP gained over 1000 state and federal legislative seats, took controll of the US House and Senate and the White House. Thirty-three governors are Republicans, and Trump carried thirty of the fifty states. Oh, woe is me, the poor GOP. Now, the Socialist-Democrats will lead us to modernity. So many fresh faces. Nancy Pelosi. Bernie Sanders. Jerry Brown. Liz “Cherokee” Warren. The Clintons. Well, at least the up-and-coming Cherokee Warren is under 80. Well Rick, I think even you would agree the Trump administration has in a short time motivated the left. We will have to wait and see what happens in the midterms.